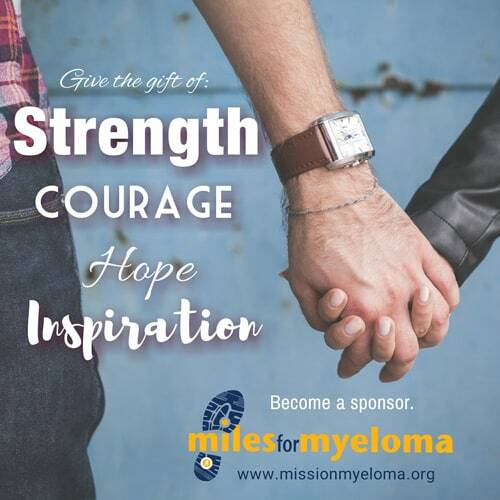 Thank you to each of the 2018 Miles for Myeloma sponsors. The contributions of these local organizations and families allow for all event expenses to be paid for in advance of the event, which allows 100% of proceeds to benefit Mission Myeloma, Inc.
With the support of the community-minded sponsors, we make a positive difference in the lives of myeloma patients and their families—right here in Wisconsin. Where do the Proceeds from Miles for Myeloma Go? Proceeds benefit Mission Myeloma, Inc., a local 501(c)(3) non-profit with a mission to show support to local patients and their families affected by multiple myeloma and to fund research for a cure. A portion of the Miles for Myeloma – Fox Valley walk/run is donated to the Multiple Myeloma Research Foundation to help find a cure. I Have a Question about Sponsorships. Who Can I Contact?